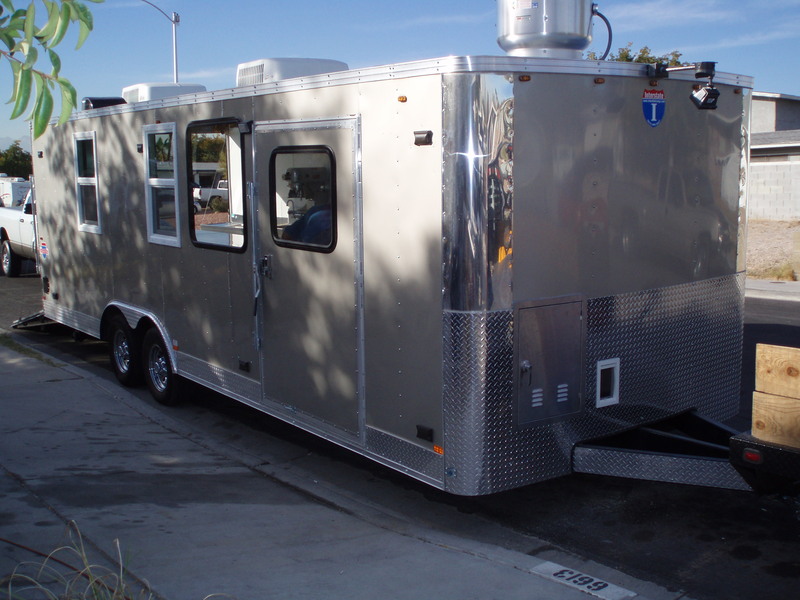 We custom build all Trailers and have many packages to choose from. 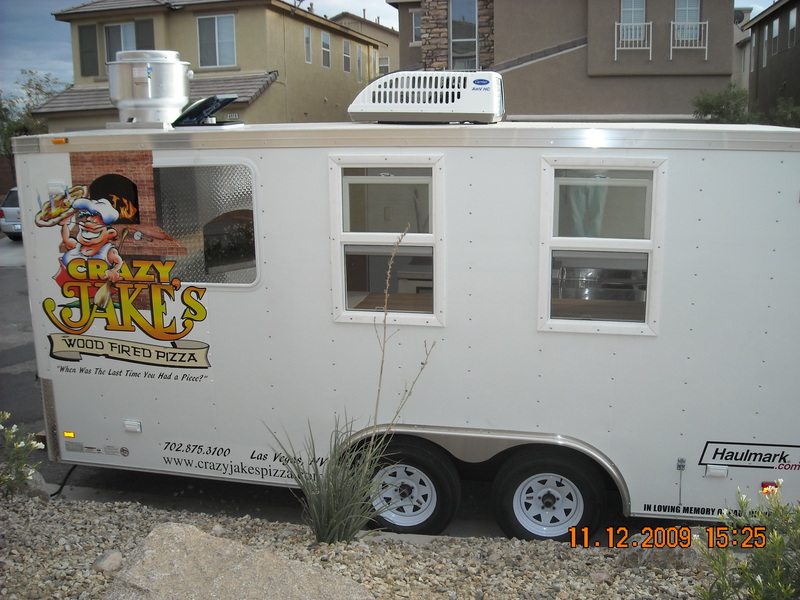 We offer turn key units to just oven installed units. You also can provide your own trailer. All of our complete trailers come with a Health Department Permit in your State or County. If you choose one of our other packages, we will make sure you recieve your Mobile Permit, Providing you install the equipment required. 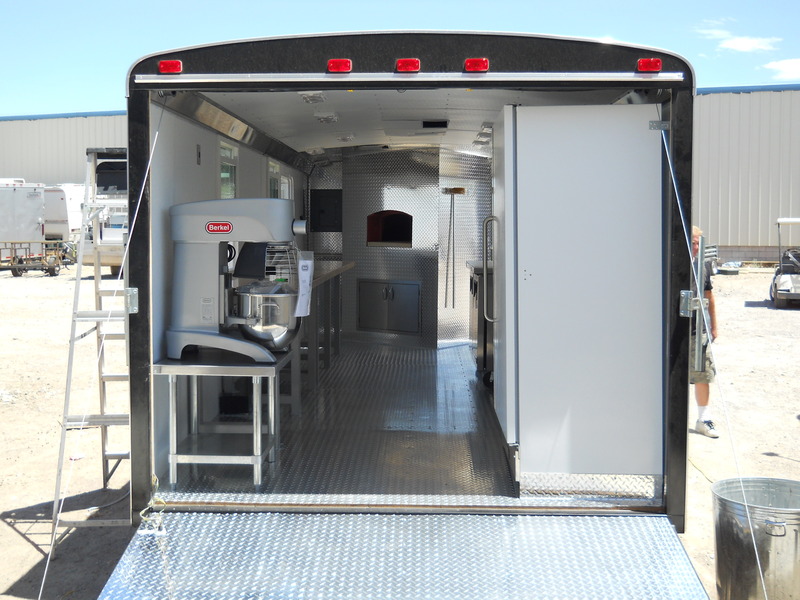 Our Mobile units are built to pass all Health,Fire and building codes. They are having so much fun, traveling and meeting such great people,that thier kids want thier own. 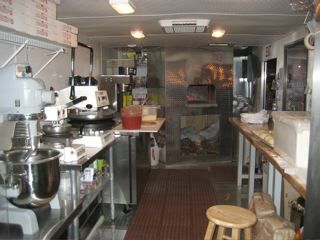 They just ordered 2 more trailers, one custom built to match their Motorhome and want to travel the Great USA. 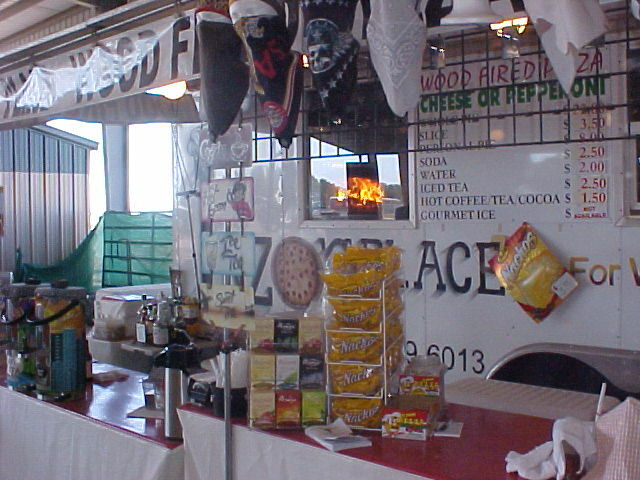 Site seeing and selling the best pizza at events. They allready hold over 20 Mobile Health Permits. PLUMBING: Frash and Gray water holding tanks, water pump, hot water heater and related waste and water connections. 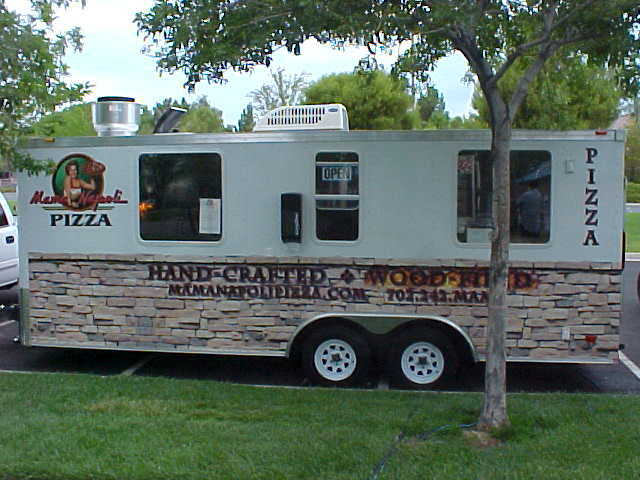 Tim and Anna with their hand tossed Wood Fired Trailer. 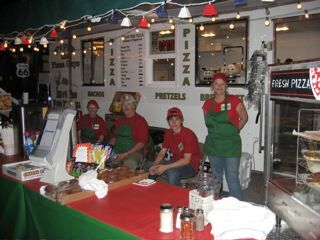 Their plan is to build a customer base over the next few years and then build thier own Wood Fired Pizza Resturant. 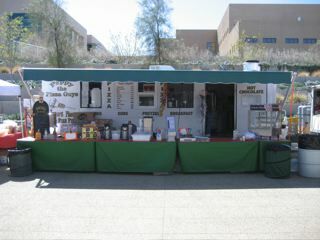 and of course while building they will have the trailer set up in the parking lot. GOOD PLAN? Build your customer base then Build your Resturant.